Powerpoint game (2 slides) that works on developing memory and food vocabulary. 1 slide has general food items & 1 has fruits and vegetables. 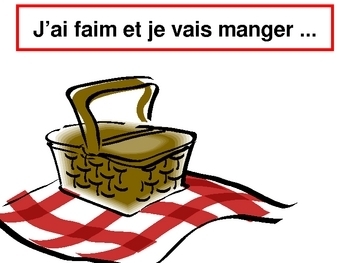 Food (25 pieces) enter one at a time (click to advance) & disappear behind the picnic basket. 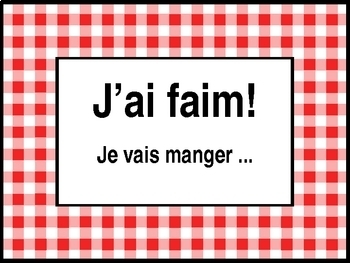 At the beginning of each round student says "J'ai faim! 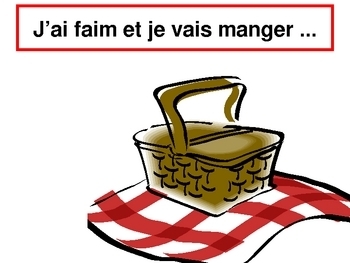 Je vais manger" (text is permanently on screen) & mention food. Round 2: mention 1st, then 2nd item. Round 3: 1st, 2nd, 3rd, etc. Can be played individually, with partners or teams. Winner can correctly recall all 25 items IN ORDER.